IAS: Emperor among the kings? 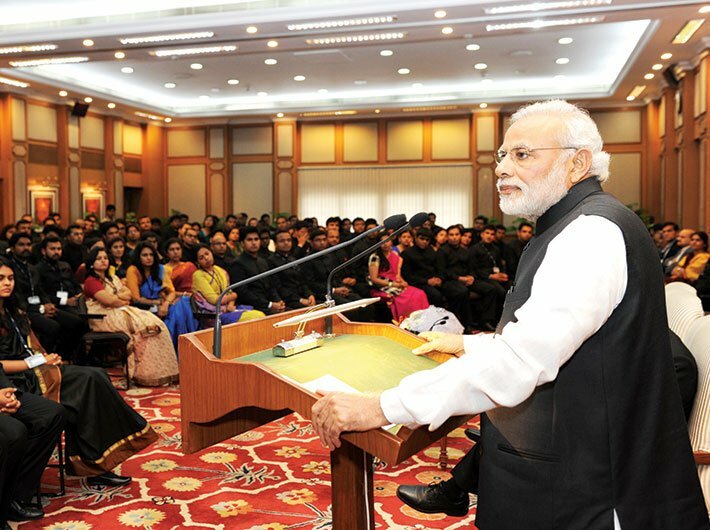 As many as 1003 of the total 1089 successful candidates in civil service exam (CSE), that is 92 percent of them, marked Indian administrative service (IAS) as their first choice among a host of services allocated to successful candidates – like Indian police service (IPS), Indian foreign service (IFS), Indian revenue service (IRS) and so on. In previous years too, there was an overwhelming preference for the IAS. Why? Because most ministries and departments get their top bureaucrats from the IAS. The highest ranking bureaucrat of the country too comes from IAS. Other services have challenged this apparent superiority of the IAS in recent years. The two-year edge refers to the practice under which IAS officers are typically promoted two years earlier than their counterparts in other services, receive two additional increments, and are empanelled for positions in central ministries far earlier in their career. Technically, the IAS officers get the two-year edge but the actual gap between a joint secretary from IAS and other Group A services is at least 7-10 years. It is very common to find an IAS officer getting appointed to joint secretary and above grade 10 years ahead of officers of non-IAS services. The pay panel has also recommended that the financial edge held by IAS officers be extended to IPS and the third all-India service, the IFoS (forest service). IAS officers presently get paid more than their batch mates from other Group A services in the form of two additional increments – 3 percent of basic pay – at three promotion stages, ie, promotion to the senior time scale, junior administrative grade (JAG) and non-functional selection grade. This will continue in the proposed pay matrix but will be extended to IPS and IFoS also. The pay panel said as far as the Indian foreign service is concerned, the existing dispensation shall continue. “I have graduated from one of the premier management institutes in the country and worked in the private sector before joining IAS. I have always dreamt of working for the betterment of my country and serving the underprivileged, and that’s what made me quit my comfortable and high-paying corporate job and join the IAS ... Of late, it has been observed that there is a concerted effort by members of certain central services to malign the IAS by launching a vicious campaign in social media and other public platforms. It is clear that the main purpose of this malicious campaign is to gain mileage before the seventh pay commission and bring in the so-called parity in services. A cursory glance at some of their articles reveals that their entire argument is centred on the theory that IAS officers being generalists lack functional/domain knowledge and competence. This edge was once justified, according to the commission report, as before the implementation of the Kothari commission recommendations, the scheme of examination was so designed that an IAS or an Indian foreign service (IFS) aspirant had to appear for two additional papers with at least one paper from outside the field of their special study at the university unless the candidate held masters or honours degrees in two subjects. Thus, an IAS/IFS candidate had to appear in five papers as opposed to three papers in the case of other central service aspirants or two by the IPS aspirants. However, in 1979 the examination pattern became uniform for all services. That is why other all-India services have long been demanding parity with the IAS (and the IFS) in pay and promotions. The pay commission has noted that this demand has been put forth since the time of the second pay commission. Soon after submitting the report to the finance minister, justice Mathur told Doordarshan, “There are three all-India services: IAS, IPS and Indian forest service (IFoS). They form one category that is all-India service category. You cannot make micro and mini classification in this. It is not logical that just because you get IAS you get more promotions and increments. In fact, police and forest services are more arduous jobs, given the deteriorating law and order situation.” He also added that the allocation of one or the other service boils down to a difference of a few marks – not a good enough reason for the discrimination. Also, Uppu points out, an IAS officer holds a variety of responsibilities and thus has richer experience compared to officers of other services who have specific domain knowledge, which may be insufficient for policy formulation and implementation at higher levels. “Empanelment and pay parity are different issues. Empanelment is not the job of a pay commission,” Uppu contends. Other non-IAS officers are reluctant to put forth their arguments, given the fact that they have to report to an IAS officer in most cases. The cabinet will soon take a call on the pay commission recommendation. If it decides to do away with the edge given to IAS, it will be a new beginning in the administrative history. However, given the fact that most powerful babus influencing policy decisions come from IAS, snatching the privileges away from them would not be an easy task. Since 1946, every 10 years, the government has been appointing a central pay commission (CPC) to revise the pay scales of its employees. Since these pay scales are largely adopted by state governments as well, they influence the income of millions of households. Constituted: September 25, 2013, a week before the election-related code of conduct became effective, the UPA government set up the seventh central pay commission. On February 28, 2014, the cabinet approved its terms of reference. Chairman: Justice Ashok Kumar Mathur, former judge, SC, & retired chairman, armed forces tribunal. Expected date of implementation of recommendations is January 1, 2016. Beneficiaries: Around 47 lakh serving government employees, 52 lakh pensioners, including defence personnel.